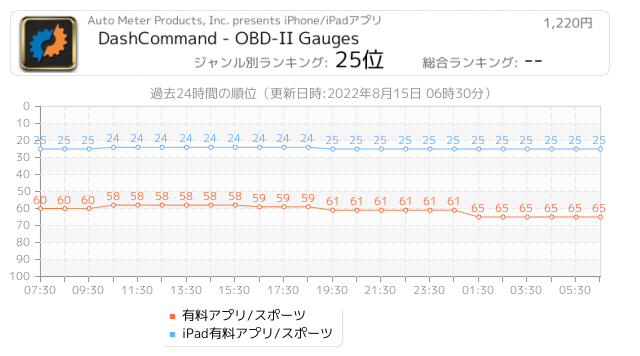 Transform your Apple iOS device into a customizable display and monitoring system. 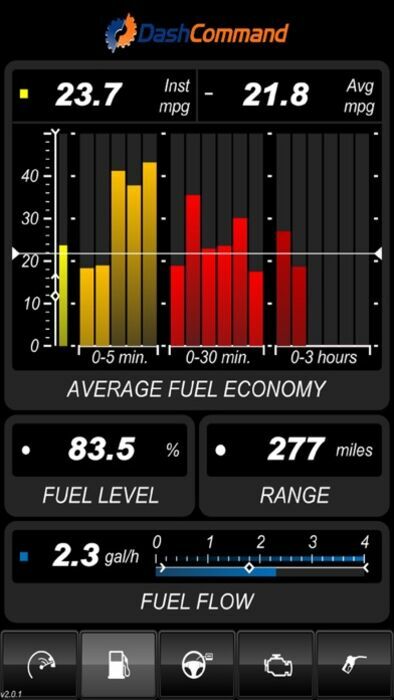 DashCommand puts you in control - Monitor and data log engine and vehicle performance, fuel economy, and instantly read and clear troublesome check engine lights, all with the easy to use DashCommand app. Now with improved menu design and back button! --- SEMA Show 1st runner-up for best mobile electronics product. --- Four time SEMA Global Media Award winner! DISCLAIMER: DashCommand requires a compatible third party hardware interface, purchased separately, to communicate with the vehicle. 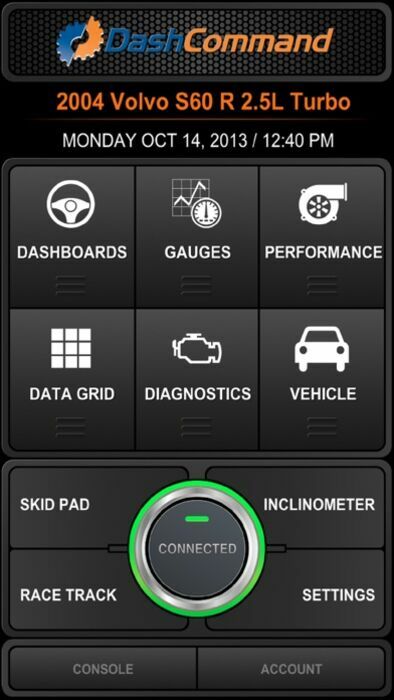 DashCommand supports all OBD-II and EOBD compliant vehicles sold worldwide. Please verify that your vehicle is OBD-II/EOBD compliant before purchasing! Get the benefit of multiple gauges without the overwhelming clutter and the expense! - Race track visually maps out your location, acceleration and braking as you drive laps around the track allows you to visually analyze different race track laps to see how acceleration and braking changed from lap to lap thus helping you to improve your lap times on your next outing. - Inclinometer shows rolling angle and vehicle pitch for off-roading. 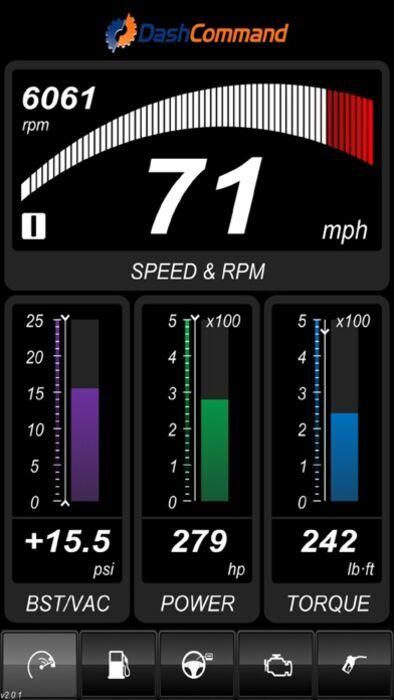 Manufacturer-specific data is available for select vehicles, through In-App purchase. Now supports Auto Meter DashLink hardware!